While other states (and countries) have severely restricted abortions by passing various laws, New Mexico is ranked #1 by the pro-aborts (according to an article in the ABQ Journal) as having the freest access to abortion since there are no laws limiting abortion. Abortions are fully funded by state tax dollars and it is legal to kill a baby up to the day of birth in New Mexico. One of our strategies has been to expose late-term abortion since nearly 90% of Americans oppose late-term abortions. In addition, we have tirelessly documented and exposed abortionists who are running grossly negligent abortion mills, which we know will eventually shut them down for good. We helped launch the first ever citywide referendum that attempted to ban abortions after 20 weeks of pregnancy in 2013. This legislative session, our groundbreaking research and public exposure campaign (Protest ABQ) was the catalyst of the first pro-life bill to EVER pass the New Mexico House…a Late-Term Abortion Ban! Pastor Manny and Bud with petition signed to deliver to Speaker Boehner. Praise God for His faithfulness and the opportunity to speak and act for life. We are making every effort to end late-term abortion with the goal of ending all abortions and We Thank You for Making These Efforts Possible. During the summer month’s our donations fluctuate as people get busy. Please consider becoming a monthly partner with us as pro-life missionaries who are working to make NM abortion free by closing one abortion facility at a time. 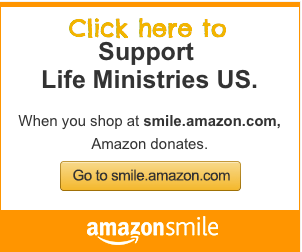 Convenient monthly electronic donations can be scheduled securely online here. Your generosity makes our work possible. P.S.- We want to pray for you! Please comment below with your prayer requests. “Seek the well being of the city to which I have sent you. Pray for it to the Lord. Prayer and Protest Produce Promising Results in Washington D.C.
Have you heard of Jade Helm 15? Pastor Dewey Moede, News Director at For God’s Glory Alone Ministries – FGGAM asked Bud to write an article covering ‪#JadeHelm15. The U.S. House approved H.R 36 The Pain Capable Unborn Child Protection Act on a 242-184 vote! 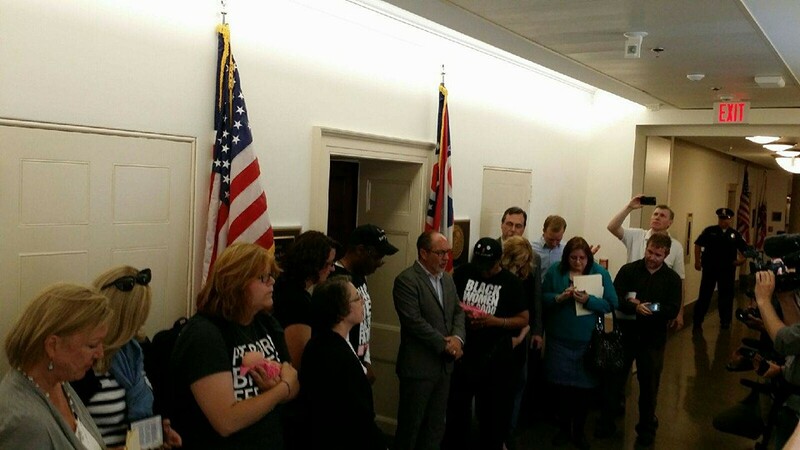 This vote comes just days after National Pro-Life Groups Protested at House Speaker John Boehner’s office on Capital Hill demanding that Republican leaders #FreeTheBan and put it up for a vote. Bud Shaver, Executive Director of Protest ABQ stood in solidarity with Pro-Life leaders from all across the country and also delivered signatures collected from a petition by New Mexicans and voices from all across the nation calling for a Ban on Late-Term Abortion to House Speaker Bohener’s office despite his office remaining closed and locked. Read the full report of our Prayer and Protest in Washington D.C. here: Prayer and Protest Produce Promising Results in Washington D.C.
Well the U.S. House heard our collective voices and we thank them for passing this bill, though not perfect, it will save thousands of lives and will end barbaric Late-Term abortion’s in New Mexico and all across the nation. We will continue to take peaceful and prayerful steps of faith until the mountain of Abortion in our country is cast into the abyss of history! 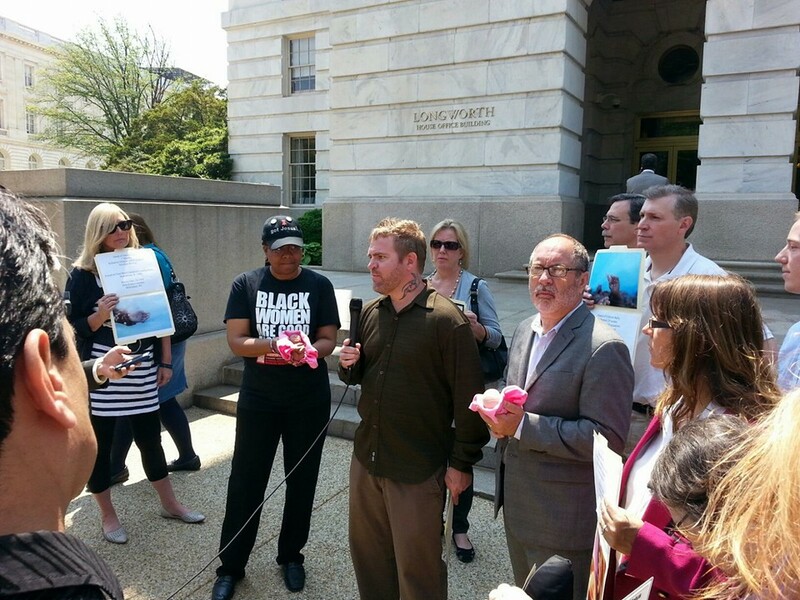 Albuquerque, NM- Bud Shaver, Executive Director of Protest ABQ and Apostle Manny Lardizabal, New Mexico Heartland Apostolic Prayer Network (HAPN) State Leader, stood in solidarity with pro-life groups and leaders from all across the country in Washington D.C. urging the passage of the Pain Capable Unborn Child Protection Act. On January 22, the date of the Roe v. Wade Memorial, Republican House Leadership broke a promise and cancelled a vote on the Pain-Capable Unborn Child Protection Act. If passed it would ban abortions after 20 weeks of pregnancy nationwide. The protest coincided with the National Day of Prayer, 2015. This provided a great opportunity to join together at our nations capital in prayer for our country and it’s leaders…then to get up off of our knees and put our faith into action by protesting the lack of action by House Speaker John Boehner and Republican leadership to introduce a Late-Term Abortion Ban that will save thousands of lives. Everyday that passes means that babies are dying! 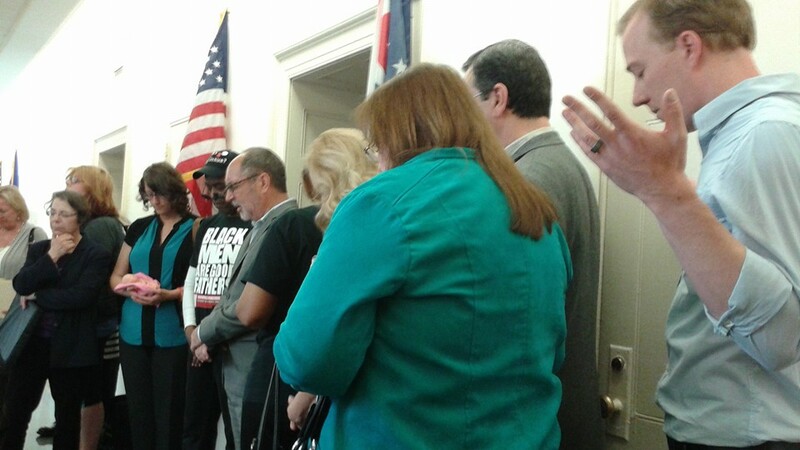 Prayer outside of House Speaker John Boehner’s office in Washington D.C. Unfortunately, House Speaker Boehner’s office did not provide an opportunity for the Pro-Life leaders to present their concerns which included a petition gathered by Protest ABQ, in fact, Boehner’s office was locked and no one came to the door after repeated attempts by EVERY Pro-Life leader gathered. “Mahoney said the protesters are following Jesus’ example as outlined in the parable of the widow and the unjust judge in the Bible. The poor widow kept coming to the judge to beg him to grant her justice, and he eventually relented because of the woman’s persistence. Rev. Patrick Mahoney knocking on House Speaker, John Boehner’s door. Bud Shaver agrees and as Executive Director of Protest ABQ he and Protest ABQ is committed to stand side by side Survivors of the Abortion Holocaust, national pro-life organizations, leaders, and individuals until ALL of the babies receive justice! 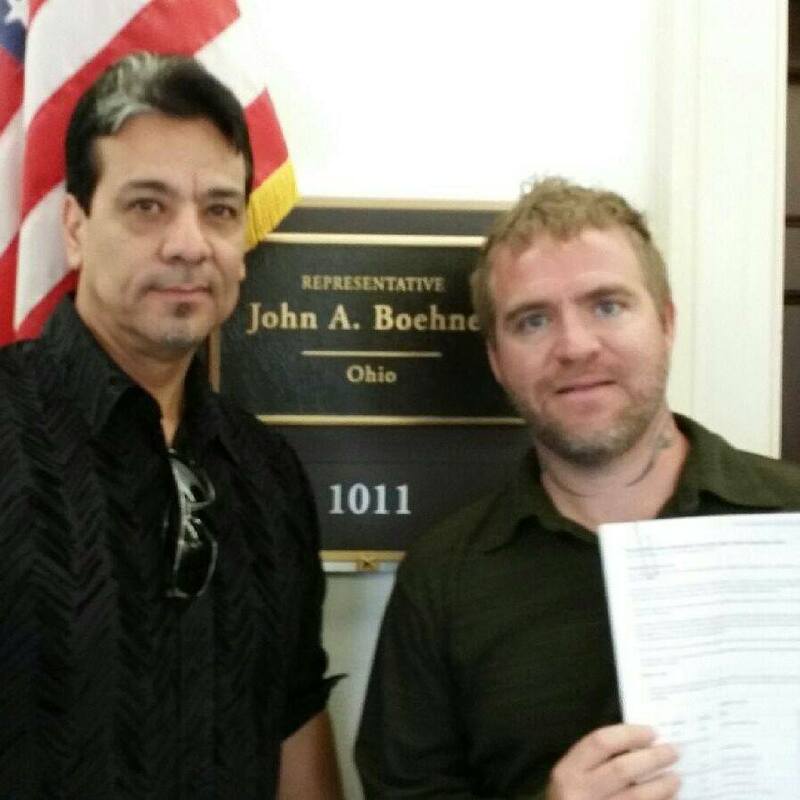 James Conrad knocking on House Speaker, John Boehner’s door. “Boehner and his staff were well aware of our desire to speak with them today,” Shaver told Saynsumthn. House Speaker Boehner’s office remained locked without anyone willing to open the door…so Bud Shaver left the signatures there at his door. No Coincidence! Vote on Late-Term Abortion Ban Set for This Week!